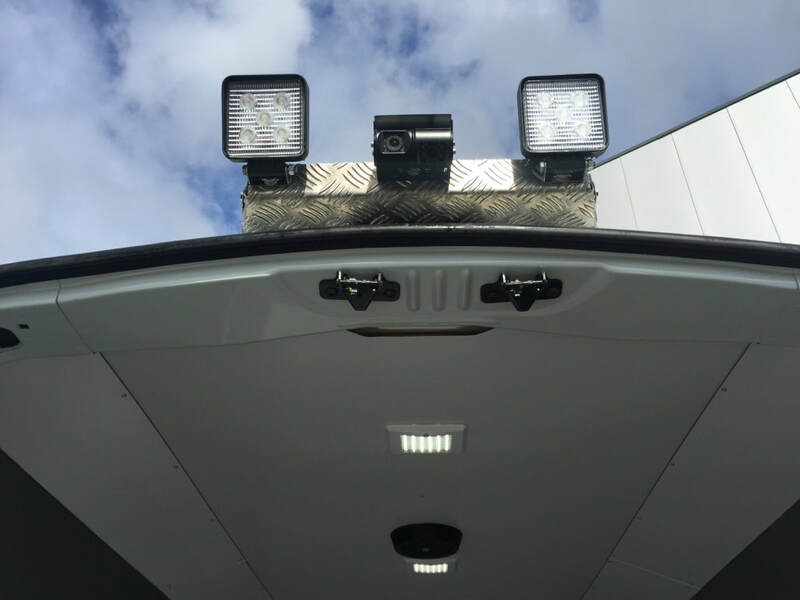 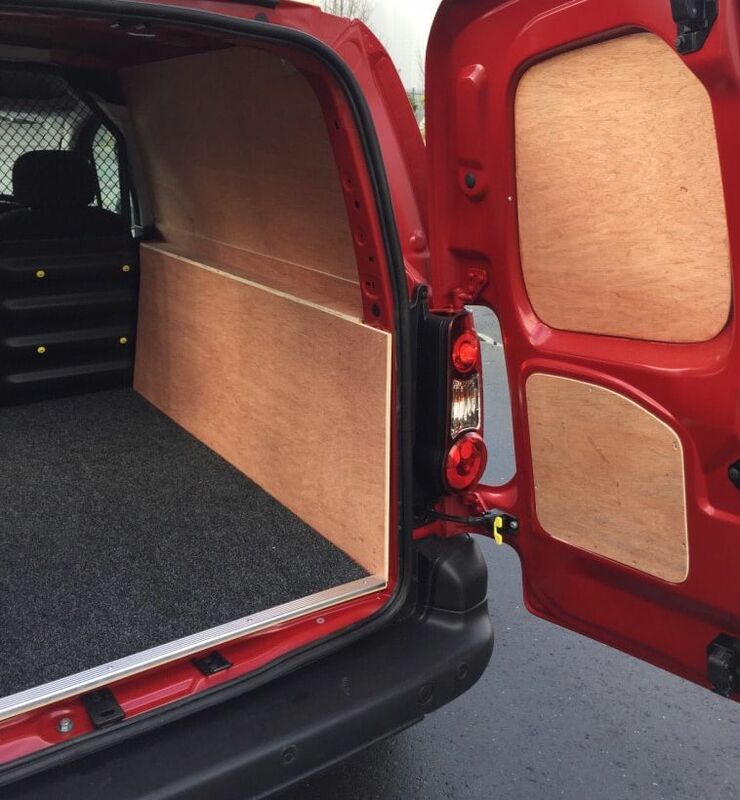 while also reducing the road noise, making the Vehicle much quieter and comfortable. 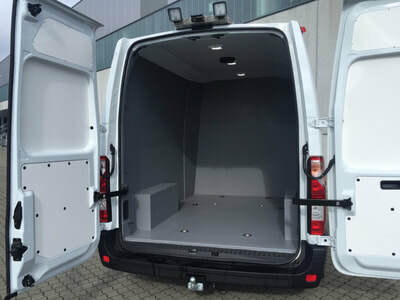 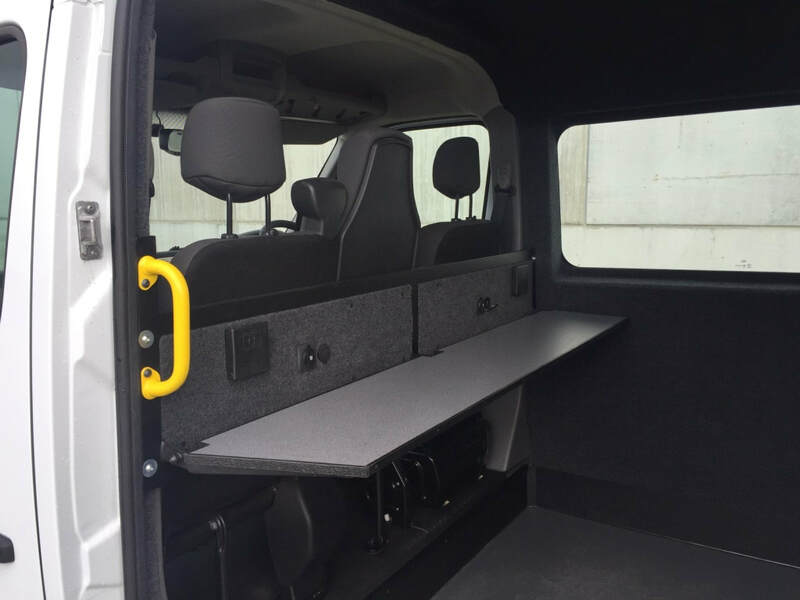 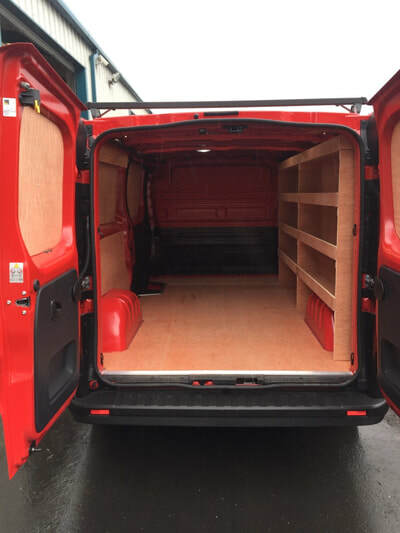 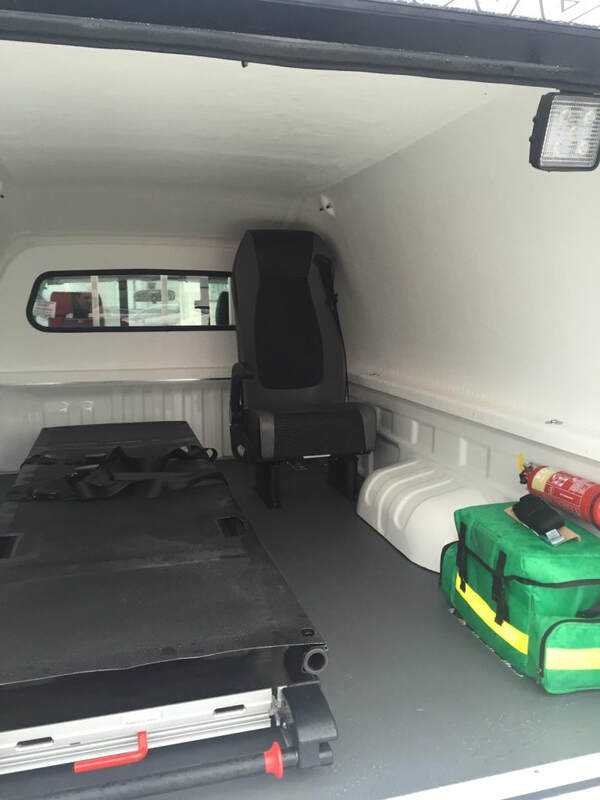 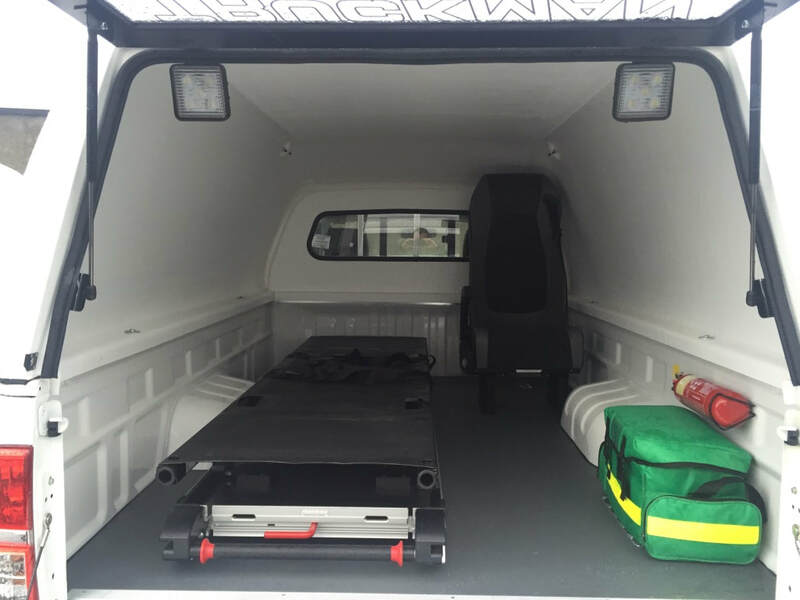 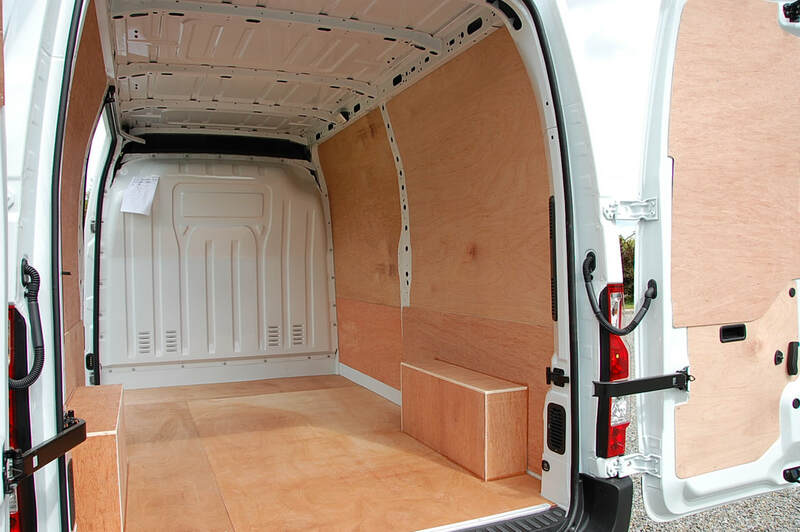 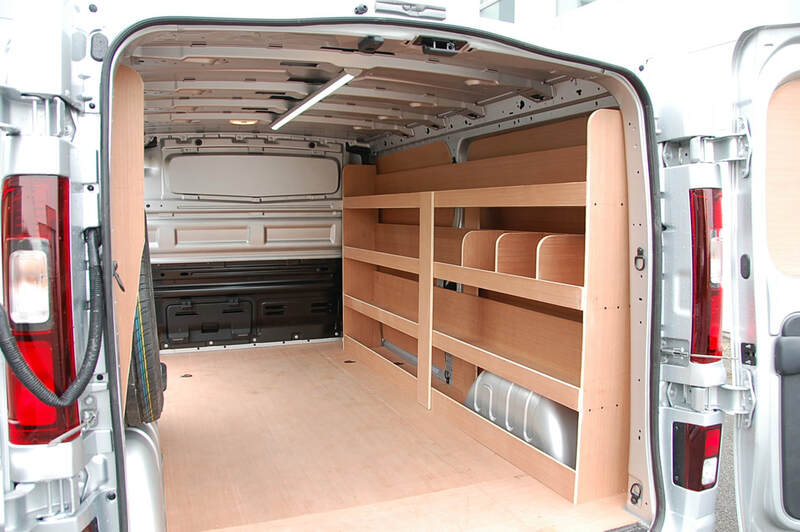 EWORC Vehicle interior ply lining is the most cost effective way of protecting the interior of your commercial vehicle. 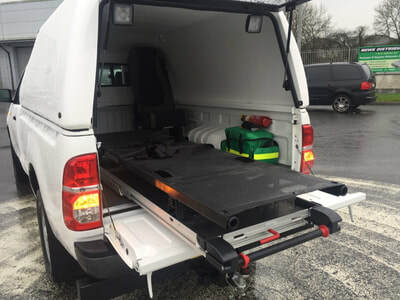 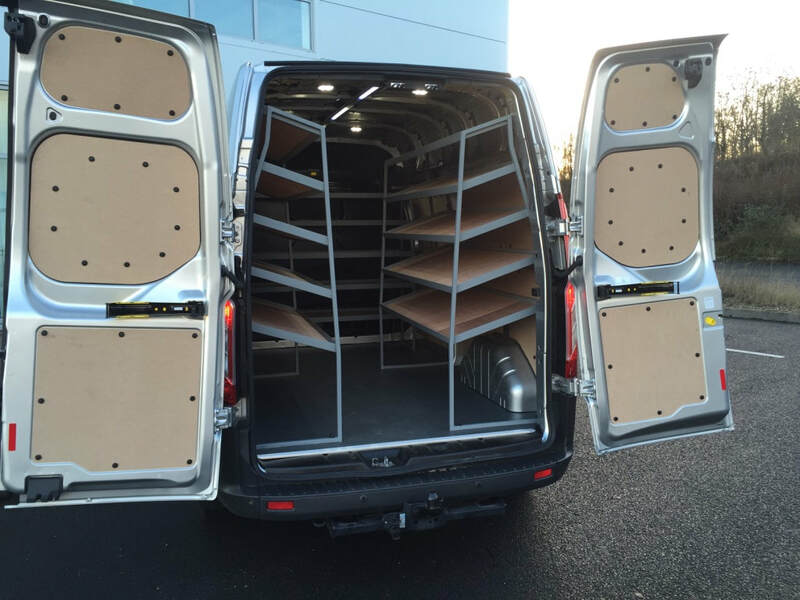 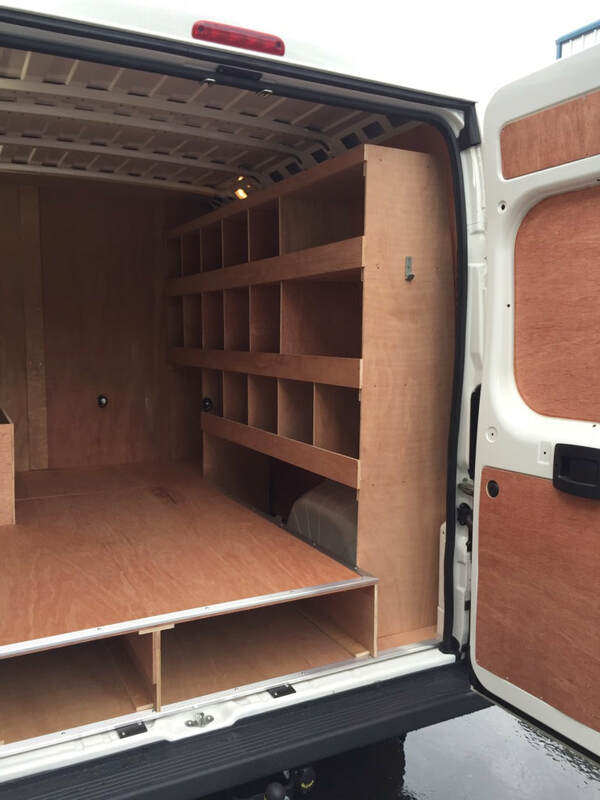 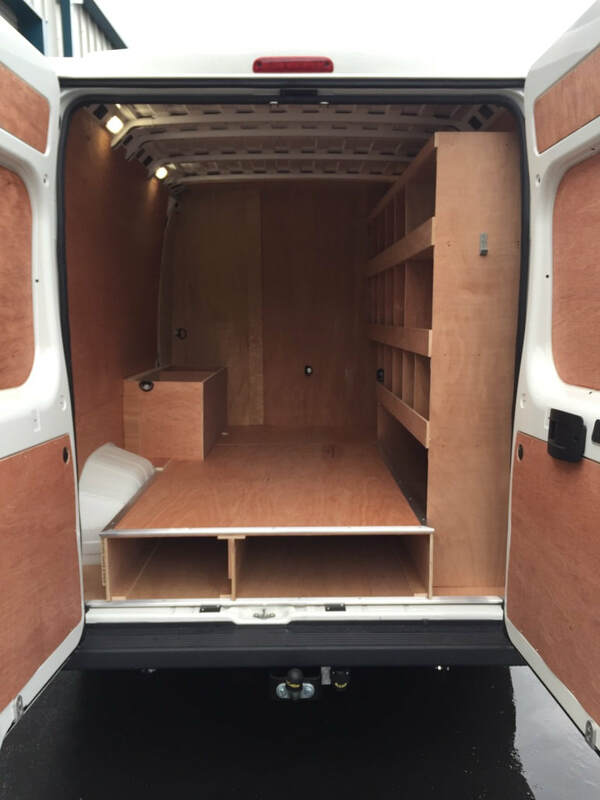 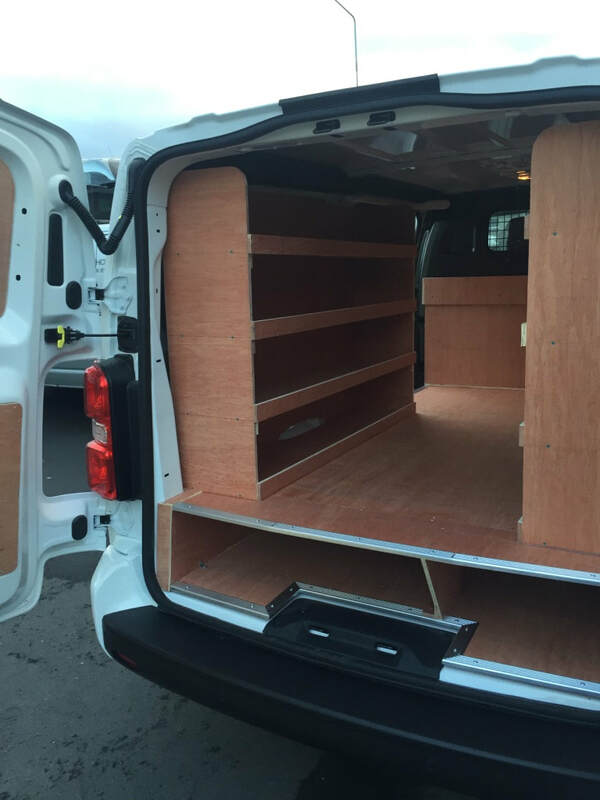 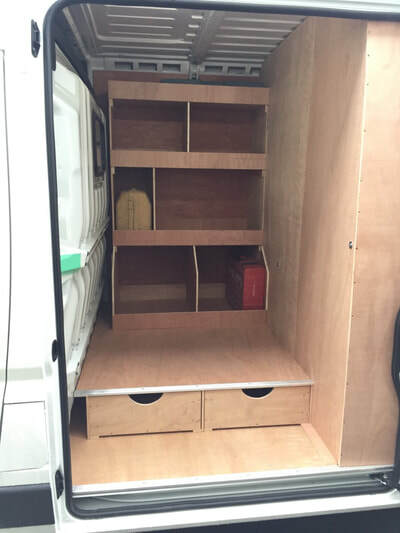 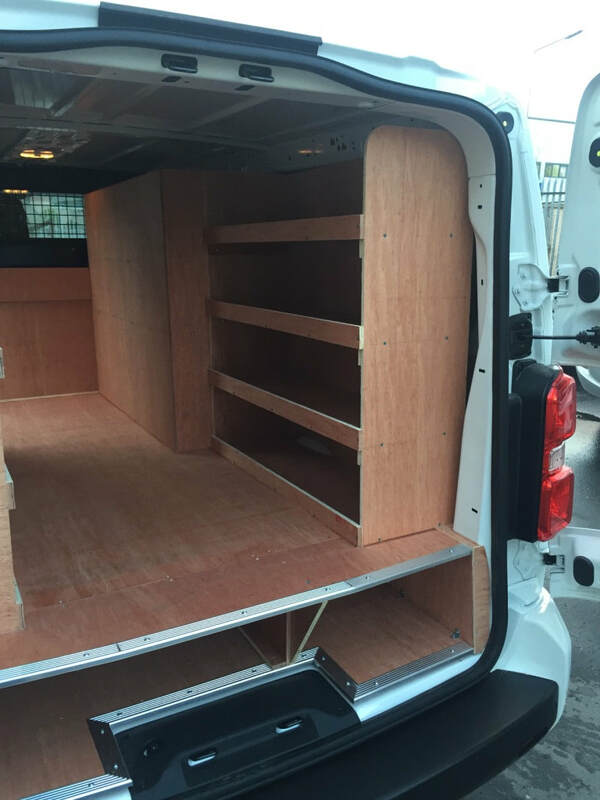 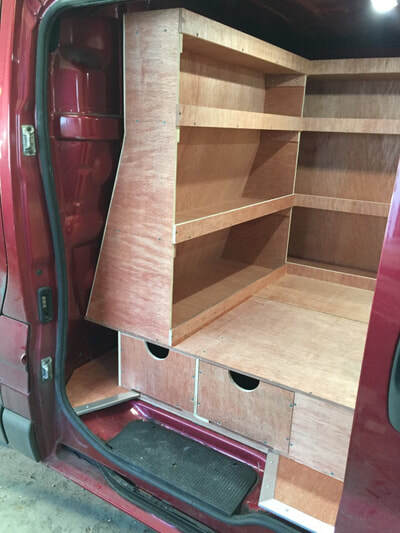 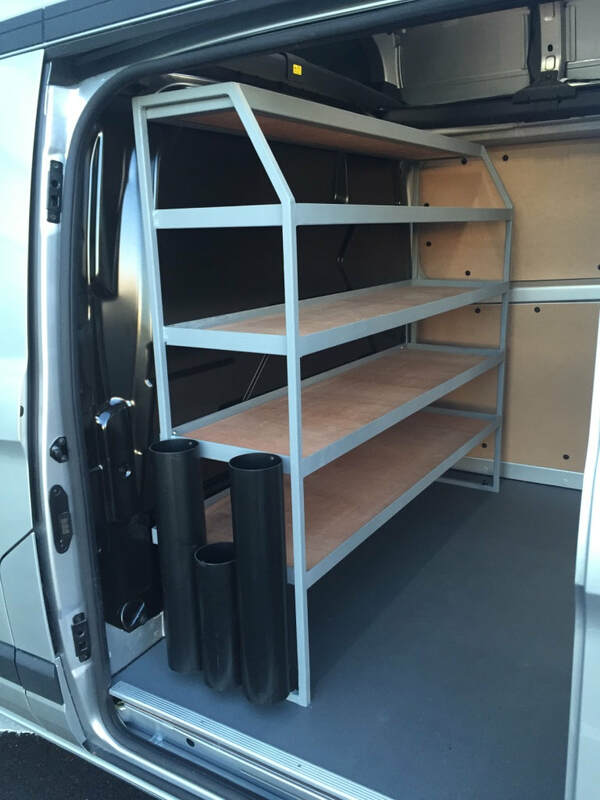 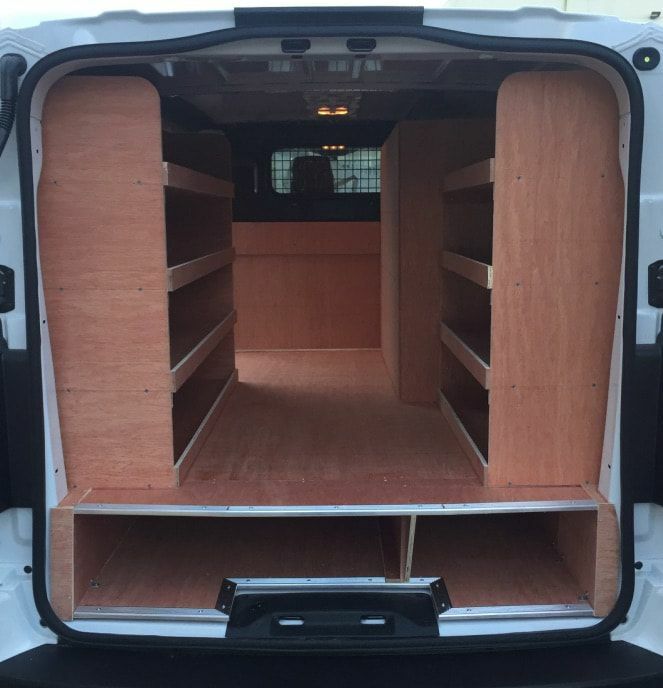 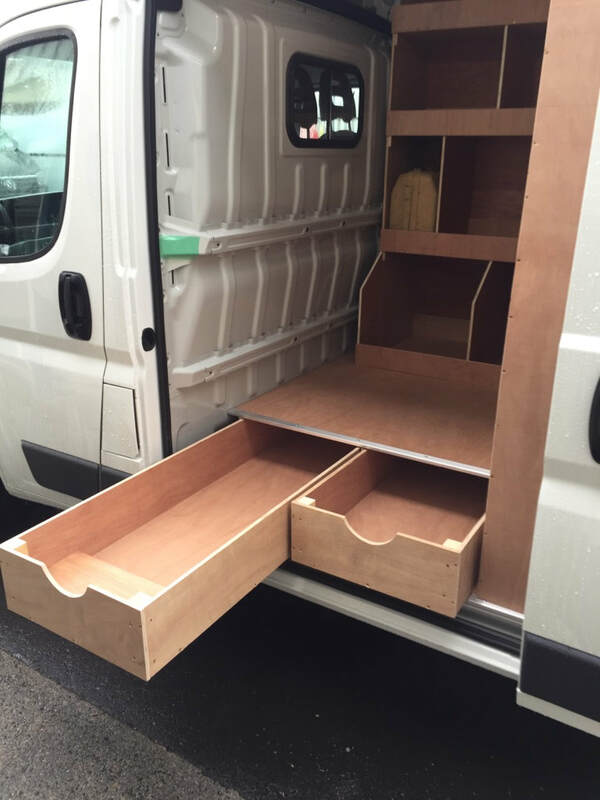 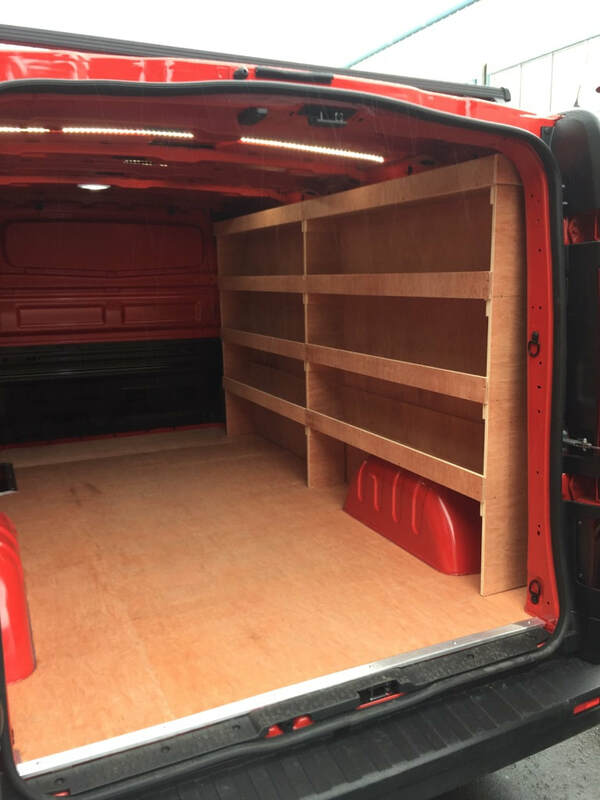 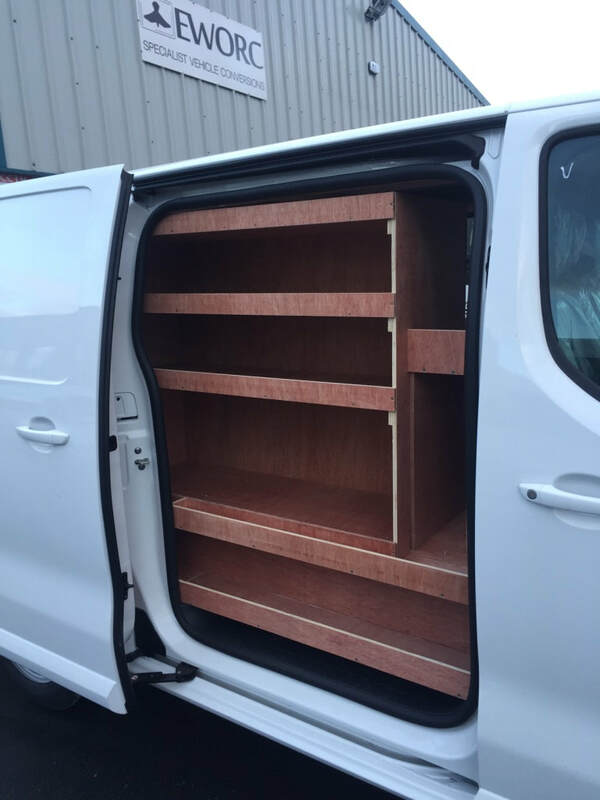 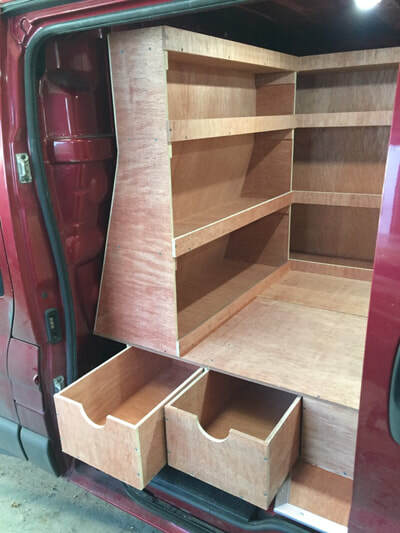 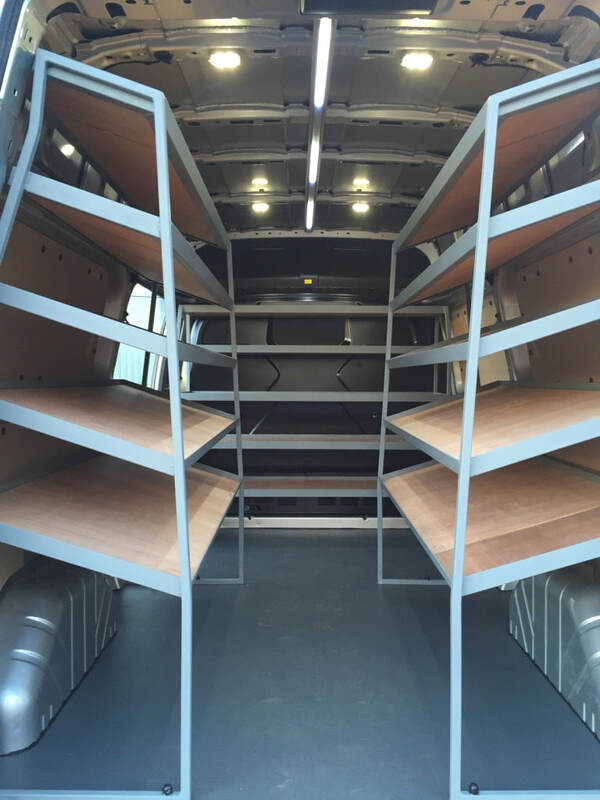 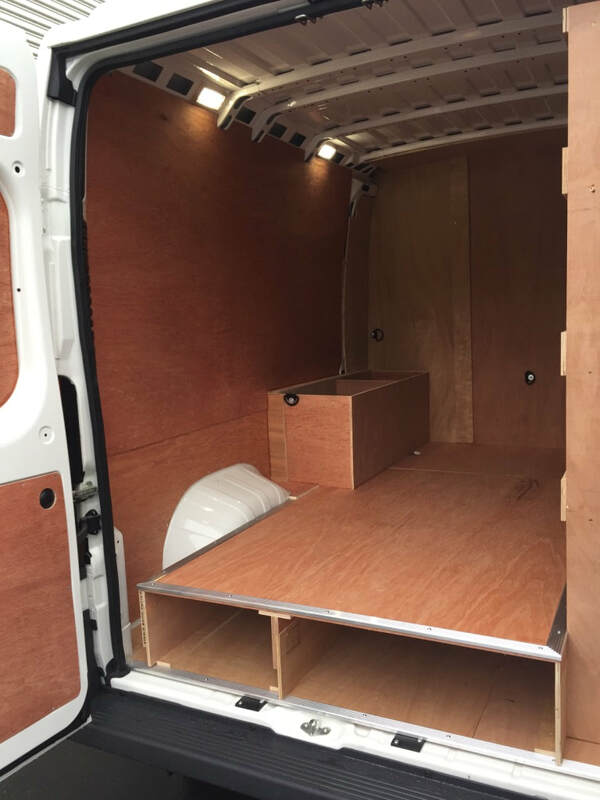 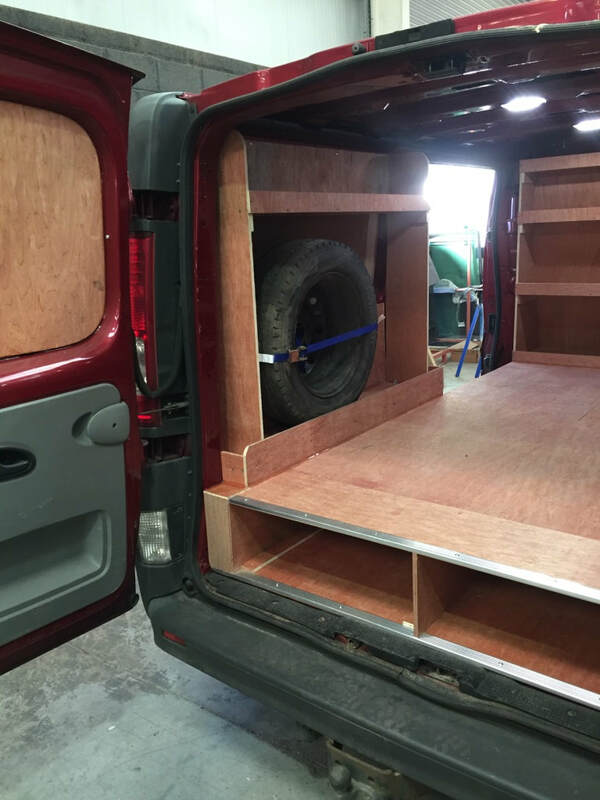 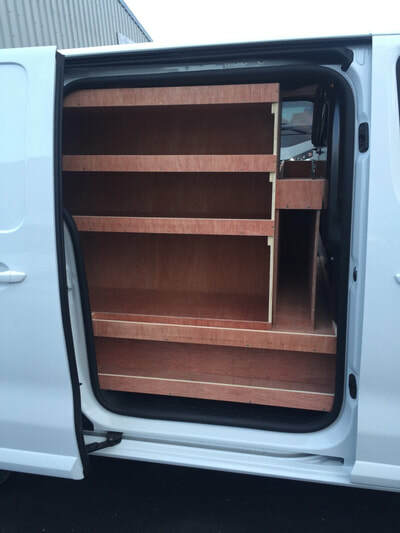 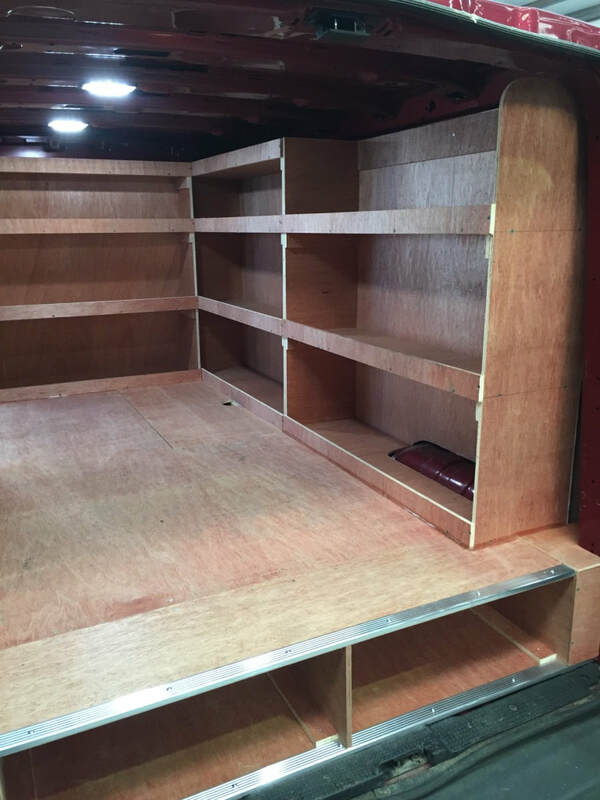 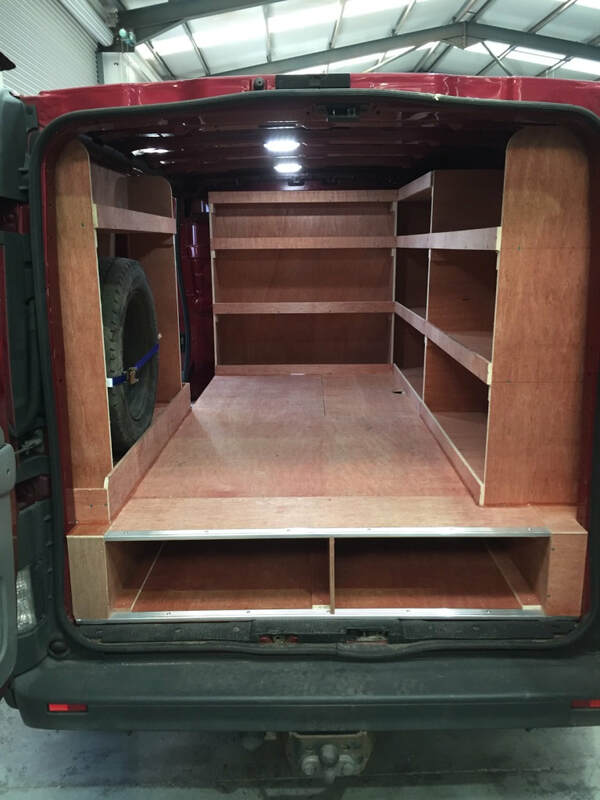 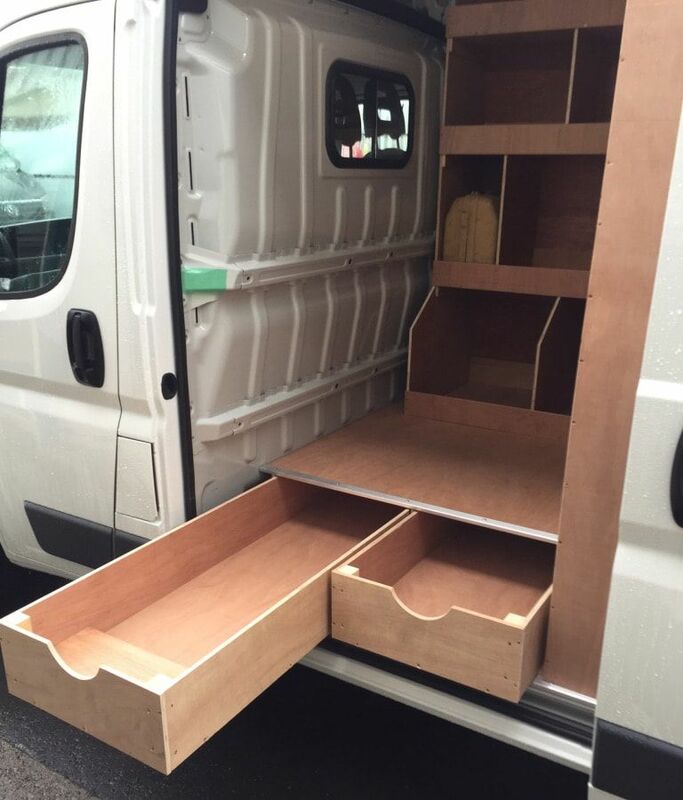 EWORC can custom make Van interior shelving, racking and storage solutions, shelving can be made to suit your exact requirements.